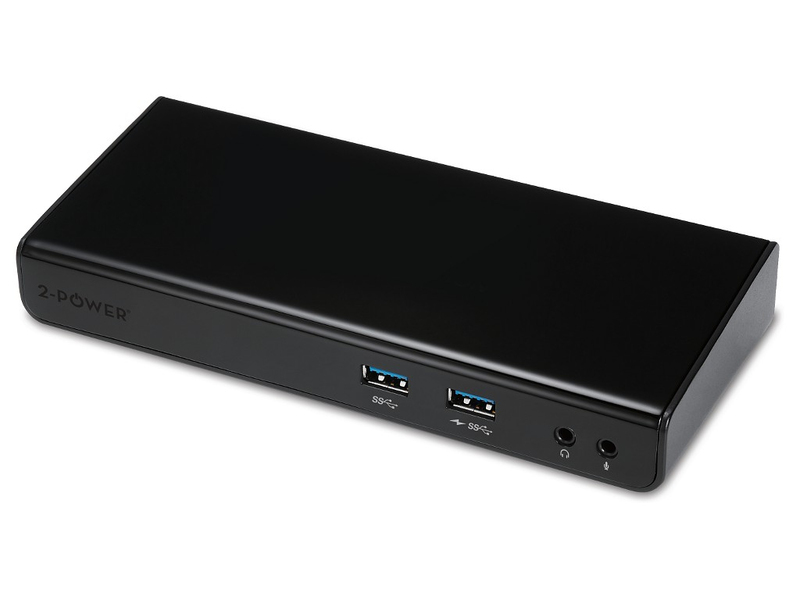 The 2-Power USB 3.0 SuperSpeedT universal docking station allows you to connect to your desktop environment via a single USB 3.0 cable and enjoys compatability with any USB 3.0 Laptop or Ultrabook. The compact and sleek design make this docking station perfect for home and office, reducing cable and peripheral clutter on your desk or workstation. DisplayLink® technology enables dual-head functionality at every workstation with most operating systems. Extend your desktop onto two full HD screens, all via the same USB 3.0 cable. The docking station gives you multiple device connectivity: 6 USB ports (2 x SuperSpeedT USB3.0 and 4 x USB 2.0) for a keyboard, external HDD, speakers and other devices. There is a Gigabit Ethernet port for high speed network connectivity. DisplayLink® graphics technology works across computing platforms and connector types, providing a solution to connect multiple displays and docking functionality to any platform.uses the built in USB, networking, and display management software that comes with your computer, so plugging in a DisplayLink®compliant product is just like plugging in directly to your computer.